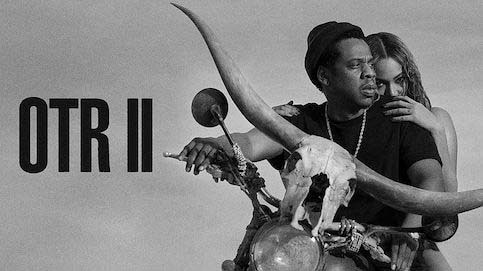 On Monday, superstar couple Beyoncé and Jay-Z announced that their OTR II international stadium tour will be coming to the Phoenix area in September. The duo is scheduled to hit the stage at the University of Phoenix Stadium in Glendale on September 19. The tour is scheduled to begin on June 6 in Cardiff, Wales, and will continue across Europe until July 17 when they travel to the United States. Beyoncé and Jay-Z will finish their tour in Vancouver on October 2. Fans are encouraged to sign up for Beyoncé’s fan club or Tidal—a subscription-based music streaming platform—soon to receive presale access. Not including taxes and fees, tickets range from $20 to $320, and VIP admission will also be available at a later date. For fans that cannot attend the couple’s concert in the Valley or hope to see the show for a second time, the worldwide tour continues on to Los Angeles on September 22 and San Diego on September 27. Presale tickets start Wednesday, March 14th at 9:00am MST. For more information or to purchase tickets, visit Ticket Master.